What I will do in this section is to examine some of the foods and drinks of Japan. Please note; the spellings of Japanese words will vary from the actual spelling since I cannot put lines over the top of letters to indicate their longer use so I will put the letter twice instead. Japan, even though it spent a long time as an insulated culture, has still accumulated influences in food from other cultures over time. Buddhism, for example, stressed not using meat. American fast-food stores opened in the 1970's, emphasizing chicken and hamburgers. Foods from western-type countries were introduced into Japan and became part of their cuisine. The actual foods themselves were not the only changes, of course, as changes in foods led to changes in the materials used to bake and hold foods. One particularly Japanese practice that influenced the spread of new foods was the concept of omiyage. That is, if you went on a long trip you were expected to bring back gifts. Preferably lots of them. The practice continues even today. This is a good way to introduce new foods as people go on a long trip, bring back a specialty food of the area they visited and give it to their friends who, sometimes, take a liking to the food and thus another food item is adopted into a new area. Japan's history is also a good way of showing how food use is determined to a great degree by culture. During the Tokugawa era, when Japan was essentially closed off to the west, the Japanese concentrated on their own foods. When the country opened up again a flood of Western foods were introduced and became part of the Japanese diet. This process was brought to a grinding halt for a while just prior to WWII when nationalist feeling forced the removal of Western-style foods from the diet. Another major Japanese food contribution was the use of the obento (bento) box lunches. These would be bought and carried by travelers and are still used today, particularly in railroad stations and for school lunches. The arrangement of the foods in the obentos sometimes is raised to an art style in itself. Hatsumono is the eating of the first foods of the season and is an important event in Japanese culture. Another cultural aspect of Japanese food is emphasis on the presentation of the food, that food should be an experience involving more than just the senses of taste and smell. The food should be arranged in a pleasing fashion, the garnishes and colors related to the particular season or event. This often involves arranging foods in ones, threes or fives on the plate. Colors relating to seasons include white for winter; pink and green for spring; red and green or purple for summer; orange and yellow for fall. Red and gold can be used for special occasions and silver and black relate to mourning. The first couple of chapters cover Japanese geography and the types of food that are grown in Japan. The next section covers Japanese food in the past. Processing and preserving food is the next thing discussed. The book also includes quite a few recipes, and has some very good photos. Then it talks about the various meals the Japanese eat, and what kinds of food they eat at each meal. Then it discusses how foods change by the season, and Japanese restaurants. It also talks about the Japanese New Year's festival foods. 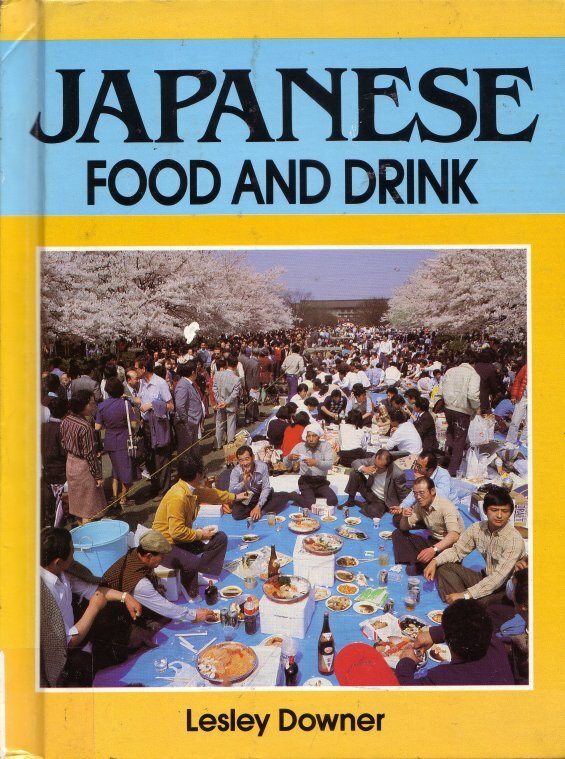 A very interesting introductory book to Japanese foods.